After exiting the Russian Cup against local rivals, Dinamo Saint Petersburg Roberto Mancini’s men are looking to focus all of their attention on their promising UEFA Europa League campaign. After their training session in Macedonia, where they demolished a clueless FK Vardar side 5-0 Zenit have already cemented its status as a serious group contender and even as possible group winners. However, we don’t want to make the same mistake we made last year since the Russian side is taking on Real Sociedad, considered by many as the only threat to Zenit’s hegemony in Group L.
Of all the improvements and solutions Roberto Mancini and his Argentine contingent have brought to Zenit, there is no doubt that it is the reaction capability the one which stands out the most. Despite not seeming like the most evident of enhancements, it does become quite recognisable if compared to Mircea Lucescu’s attitude when putting up against adversity. Without demeaning Dinamo Saint Petersburg, it must be said that crashing out of the Russian Cup in such fashion was very avoidable, especially from the tactical side. Dinamo ran and pressed as if it had been the last football match in the history of humanity. However, Mancini’s alternative line-up could be considered snobbish, and the lack of understanding within the team was notorious, made even worse by Leandro Paredes’ absence in midfield and Dinamo Moscow’s excessive freedom in attack. Immediately after the defeat, Mancini apologised and did not deny that the team wanted to reach the final. 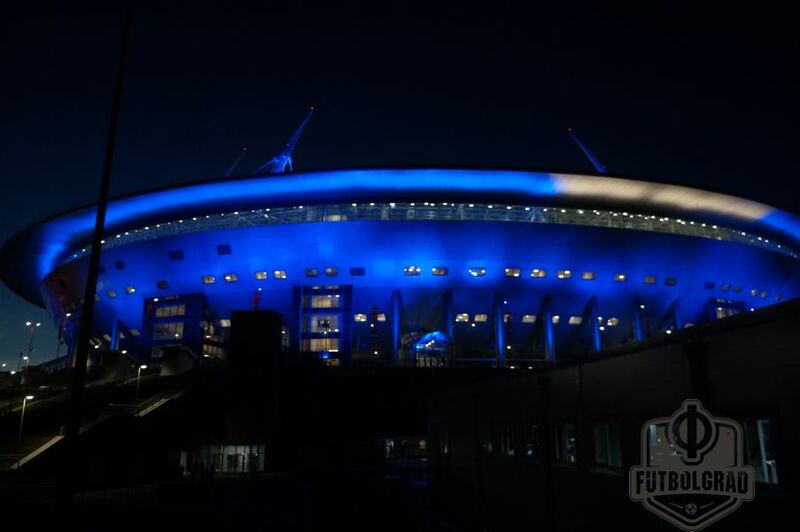 It is here that Zenit’s reaction power comes into play as by practically ignoring the shocking blow provided by their neighbours a couple of days before, they comfortably beat an always tricky FC Krasnodar 2-0 in what was a much more mature display from the team away from home. Exploiting niches within the squad, which had not been productive until then, like it has been the case with Dmitri Poloz, who scored a great header. On the visitor’s side, although recently hurt by three consecutive losses against Real Madrid (1-3), Levante (3-0) and Valencia (2-3), Real Sociedad’s European start was not shabby at all as they scored four past a shy Rosenborg BK in the first game. Eusebio Sacristán’s team rates very high in the group winners odds chart, which is great news for the Basque-based club. Although a constant presence in European competitions the results have not always been positive. Five losses and a draw in the group they shared with Manchester United, Shakhtar Donetsk and Bayer Leverkusen sent them home in the 2013-14 Champions League, while their latest Europa League adventure was casually spoiled by another Russian side, FC Krasnodar, who beat them 3-1 on aggregate in the 2014-15 Europa League play-off. Interestingly enough, Real Sociedad’s bad run of form might not be their biggest problem as their Mexican star, Carlos Vela, was not selected to be among the 21 players that will make the trip to Russia due to a slight aching in his left knee. His input will certainly be missed up front, especially considering Real Sociedad’s unimpressive goal difference in the Spanish league which equals 0 after scoring and conceding 13 in six matches. The “Battle of the Europa League Group L giants”, as the UEL site named it, is without a doubt one of the most exciting matches in the competition this week. Both teams will have to overcome their insecurities and show a mature approach to the game, for neither Zenit nor Real Sociedad want to let the top of the group slip from their hands. 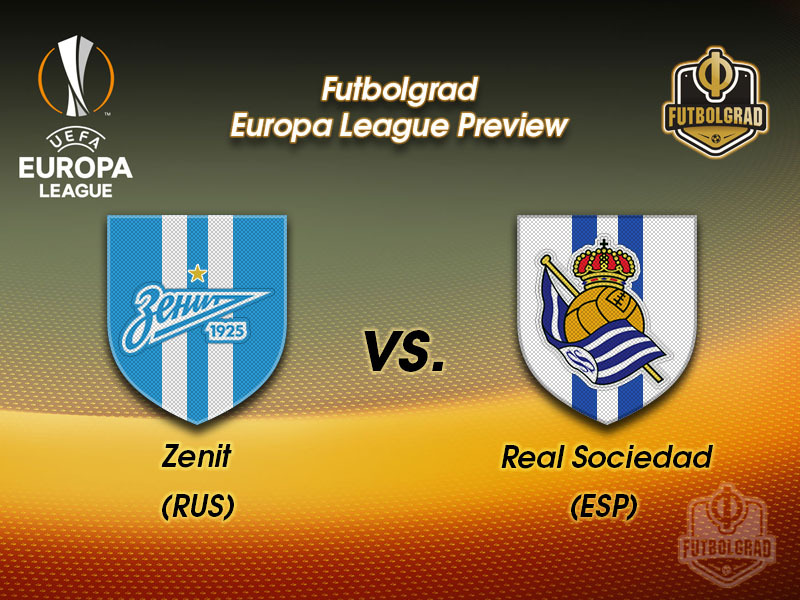 Judging by Zenit’s overall form and depth, Real Sociedad’s recent European record and the fact that the team from San Sebastián will travel to a place they have never visited before without their star striker, it seems like Zenit will be too much for Real Sociedad on paper. However, the best thing about football is that you can never know. The man of the moment seems to be unstoppable for the Blue-White-Sky Blues. Twelve goals in sixteen games have helped Zenit dispatch most of its rivals, and the number is due to continue growing should Kokorin be kept in good company up front, where Sebastián Driussi fits perfectly as the Russian striker’s official supplier. Quicker and undoubtedly more dynamic than Artem Dzyuba, his skills are something Real Sociedad’s defence will have to worry about if they want to avoid being run over by his great form. After his disastrous spell at Southampton, where he was the fourth striker choice for a whole season, Juanmi Jiménez – better known as Juanmi – is back in Spain and has been demonstrating why is still serious words when it comes to Spanish talent ever since. During last season, the 24-year-old scored 15 goals in 41 games, ending the season as Real Sociedad’s highest scorer. He even scored the last minute goal in the final matchday of the season which allowed Real Sociedad to enter this edition of the Europa League. This season he already has three goals in five games. Quick and agile, Juanmi may be Real Sociedad’s best option up front against Zenit. This is only the second match Real Sociedad will play in the rebranded UEFA Europa League, the first being against Rosenborg BK. Both teams recorded European records on matchday 1, with Zenit earning their biggest European away victory (0-5) and Real Sociedad managing to get their best UEFA home result to date (4-0). Zenit have won their last seven home games in UEFA competitions, while Real Sociedad have lost four out of their last five away affairs.